On Friday, October 19 in Alexandria, LA, Live2Lead will be hosted by Michael Laidler. 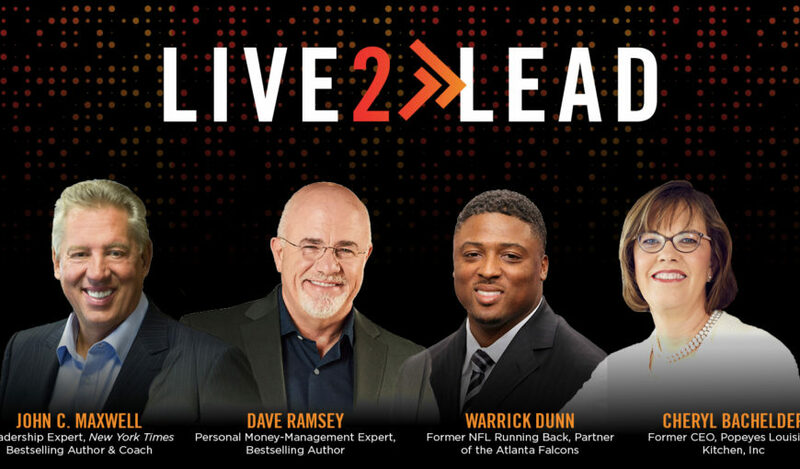 Live2Lead is a half-day, leadership development experience designed to equip attendees with new perspectives, practical tools and key takeaways. Participants will learn from world-class leadership experts, who will prepare them to implement a new action plan for approaching leadership with renewed passion and commitment when they return to their offices.